Thinking of joining the beauty industry? At Executive Spa Group, we know beauty industry careers. Choosing a career is a major decision. There are many factors one should consider before deciding on what we are going to do for a large part of our lives. Let’s consider the fact that there are 24 hours in a day, 8 of those hours are spent sleeping. Out of the 16 hours we spend awake, half of that is spent at work! Gone are the days where a job is just a job. That is old school mentality. Today, people want to be fulfilled through their jobs, and why shouldn’t they be? At ESG, we help you make informed career decisions that are consistent with your personal needs and values, along with your ability to successfully complete any particular training that is acknowledged and accepted by beauty industry employers. We are able to guide you with relevant industry information to help build your career path. We can inform you on a wide variety of bursary, grant, and loan programs aimed at supporting your educational and financial expenses while you are in school. In addition, we can help you apply for specialized supports and programming that may be available to assist students or workers with special needs in a learning or a working environment. 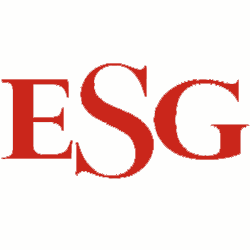 So whether you are new to the workforce or are looking for a change in career, ESG can help.